nytheatre.com review of LAST LAUGH has just been published. Check out Backstage Online for a editorial on soloNOVA. Backstage.Blogs.com about opening night at soloNOVA. Backstage.Blogs.com article on Christen Clifford's BABY LOVE. Kim Wayans' appearance on CW11 June 16 on the CW website!!! Christen Clifford on Naked City. 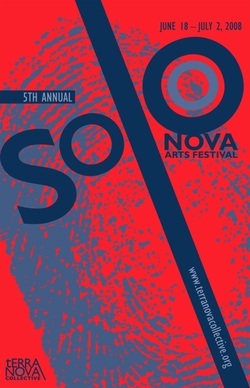 Click here for TheaterMania News article about soloNOVA Arts Festival. Click here for soloNOVA Arts Festival Preview nytheatre.com podcast with Martin Denton.